How do I help my neck pain? One of the most common causes of days off work in the UK. Neck pain is one of the biggest reasons for sick leave in the UK. 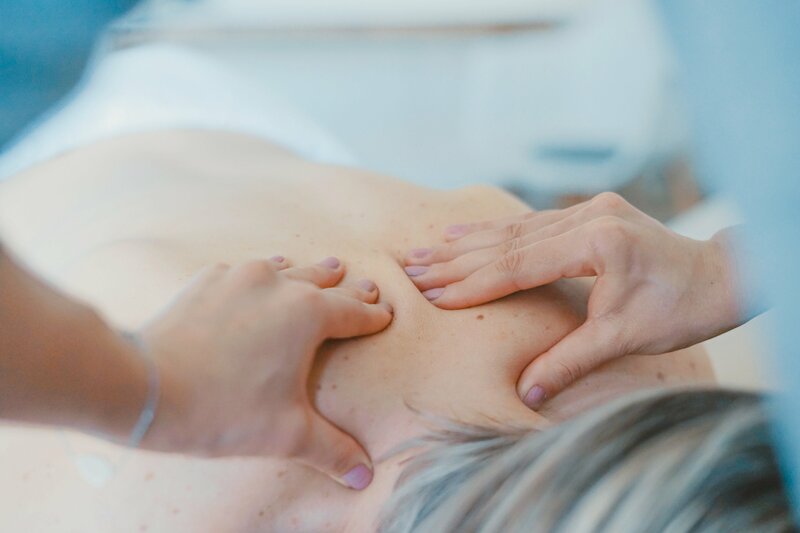 You can find treatment for neck pain in London and neck pain is one of the most common complaints that our osteopaths and physiotherapists see. There are many causes for neck pain including sitting poorly at work or at home, driving, flying, train seats and lifting apart from sports – and even neck rehabilitation exercises not suited to your neck or not taught or performed correctly. To optimise the quality of your sleep and the results of the treatments we offer at Central London Osteopathy and Sports Injury Clinic, we recommend you pick up an appropriate sleeping position. Countless times we see patients who present neck pain after “sleeping funny”. In a side lying position, you can best support your spine by creating a neutral position for the entire spine. The pillow height and design plays an important part as well to provide adequate comfort and filling in this position. Your pillow should support the head in a way that creates a neutral spine throughout, meaning it is possible to draw a horizontal line from your head to your pelvis. An extra pillow could be placed in between your thighs to level your pelvis. Sleeping on your back, a flat pillow is necessary to keep your spine neutral. It needs to be placed under your neck curve to fill this space without lifting your chin up. 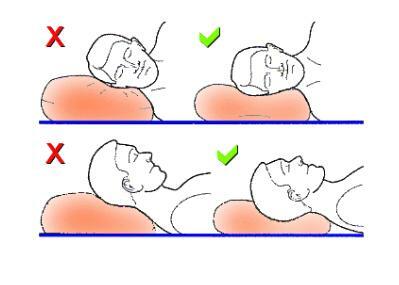 If you are a back sleeper try to avoid big pillows that cause your chin to tuck forward. Remember nonetheless that we all have different musculature, shoulder width, heights and there is no such thing as one solution fits all. At Central London Osteopathy and Sports Injury Clinic we propose a pillow with neck support that we think fits most people’s needs. Before sitting at work or in the sofa – even travelling – stretch out your muscles to avoid tension that can cause or worsen your discomfort. .. When working on your laptop attach a keyboard and mouse and place the laptop on o box or similar so it is at eyen level. Most neck pains have a mechanical reason to be there and as such a mechanical approach such as osteopathy or physiotherapy are ideal methods to free up the compressed joints and stiff muscles plus advicing on correct posture at work and at home. People usually would see one of our osteopaths or physiotherapists for neck pain – and conveniently based in Central London we often can see you on the same day if you book early enough. If you want to find a neck pain clinic near me look no further. To find the best osteopath in London for your neck pain, sciatica or other injury you should first ask your friends or colleagues who the think is their best osteopath in London .